« Curves at last ! Did it ever happen to you that you looked with disgust and contempt on some of those very cheap, crappy quality, iron cooking pots, of an undefined “eastern” origin ? Such as those sold on “Sale” campaigns, as a super-duper offering, or simply those available on the “lowest shelf” of the most flimsy supermarket ? You know, those cheap “kitchen pots” that you personally would NEVER purchase for actual use in your OWN kitchen ? Well guess what … Now that I purchased a set of toroidal transformers, two pieces of 1100VA each, I am shopping around to find such pots. But of a very specific size and geometry. For the toroidal transformers, I shall need to make some sort of “screen” so as to shield the delicate, low signal circuits of my work-in-progress, high power transistor amplifier-to-be, from the brutal noise that is disseminated from such a high power toroidal transformer. Actually, .. screen is not the best word for it, as it does not describe the true nature of the intention. Instead of “screen”, lets rather use the phrase: ”FLUX GUIDE”. Those of you who read about the “Hiend Audio Fish Can” (or whatever the title of that article was), know that a fair amount of “screening” can be obtained by simply enclosing a toroidal within a closed metal casing, one that constitutes a “short circuited” winding around the stray magnetic field of the transformer. The concept is based on a shorted turn around the stray magnetic field, which converts a fair share of the field’s energy into electrical eddy currents, and hence into heat. In this manner, energy is “taken” away from the stray magnetic field and “transformed”, or converted into a harmless alternative, i.e. into heat, by means of an electric current, which ultimately causes the metal casing to heat up a bit. This indeed helps, to a certain extent, but does not alleviate the noise problem completely. A certain amount of the stray magnetic field penetrates outside of such a “short circuit’ed”, current conducting enclosure. This is simply due to the fact that the enclosure is NOT made of a SUPER CONDUCTOR and does NOT operate in cryogenic temperatures. Indeed, it HAS some miniscule resistance, so it is NOT a perfect conductor. Hence, it is not capable of 100% efficiency. Well, the next time you see a cheap Asian cooking pot … think again. a). 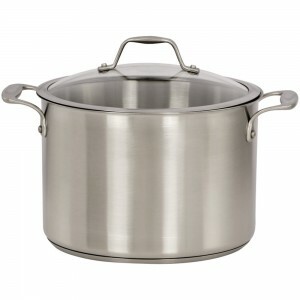 Intend to .. put the toroidal transformer into such a cooking pot, as mentioned beforehand. b). Source a very special cooking pot, and mainly one of a diameter that is 4 cm bigger than your toroidal transformer, so that there is 2 cm of free space between the outer cylinder of the toroidal transformer and the inner diameter of the pot (provided that the transformer it is “centered” within the pot). c). Source the cooking pot of such a height, so that it is c.a. 4 cm higher than the toroidal transformer. 1). Source a few kilograms of iron powder, from a nearby locksmiths workshop, from a metal machining workshop, or any other place where they process, or refine, or produce products from ferrous metals. 2). Take a broom and sweep up all the iron powder from underneath the grinder machine. 3). Purchase some 2 or 3 liters of polyester resin, one that needs to be chemically hardened by means of mixing it with a second stabilizer component. 4). MIX the iron powder with the epoxy polyester resin, so as to create an “iron putty”. 5). Put 2 centimeters of this heavy iron putty on the bottom of the kitchen pot, and allow it to “semi-dry”. 6). Put in the toroidal transformer. 7). Prepare a new batch of the “iron putty” and place it into the OUTSIDE cavities, the ones between the outside wall of the toroidal transformer, and the side walls of the pot. 8). Pour PURE epoxy resin, with some NON-CONDUCTIVE filler material, into the inside hole of the toroidal transformer. This is an important step, as it serves the purpose of avoiding creation of a shorted turn through the “inside” opening of the toroidal “doughnut”. 9). Prepare a new batch of the “iron putty” and place it 2 centimeters thick on the very TOP side of the toroidal transformer, essentially filling up the rest of the pot. You have just created a super heavy toroidal kitchen pot ! It has a 2 cm thick wall made of something which is very much similar to steel, albeit made up of fine particles, encapsulated in a resin. Most probably it does not conduct current, but it does conduct magnetic flux. We have created a magnetic flux conductor, and one that very tightly encompasses all th outer layers of the toroidal windings, at that. Why are we doing all this ? As the saying goes, toroidal transformers have a magnetic flux which is very much “centered” within their core …. BUT…. … BUT a small portion of that flux indeed gets out of the “insides” and penetrates to the “outsides” anyway. So what we are doing here is essentially … creating an OUTER CORE so as to facilitate the easy concentration of the stray magnetic field, in such a manner that it does not “feel the need” to wander around anywhere further from the toroidal transformer. We are creating a comfortable highway for the stray magnetic flux, to go wherever it wishes … as long it does so within the direct vicinity of the toroidal transformer, and nowhere further. Personally, I prefer the cooking pots that have no inscriptions on the bottom outer side of the pot. The cheaper and more crappy the source of the pots, the bigger chance that you shall obtain them “saute”, with no inscriptions on the bottom side whatsoever. a). You do not need to waste your time reading this, if such is your preference. Rather than wasting your time on reading these “idiotic ideas” – Go and get a LIFE. **DO** something. Do something interesting. Something … ELSE. b). As the Polish saying goes: ”Psy szczekają, a karawana jedzie dalej …”.